A client in the design phase of a new Sedation delivery system utilized the services of Vela Technologies to identify customer needs and evaluate Data Communication and Reporting products currently on the market. In a follow-on project, Vela Technologies conducted interviews with Gastroenterology and Endoscopy centers across the country to assess Reporting and EMR interface requirements. The information gathered successfully validated product development plans and identified important new customer requirements. Vela Technologies assisted a leading provider of Clinical Documentation and Speech Recognition solutions by gathering and analyzing customer input from Radiologists, Medical Transcriptionists and other healthcare providers to develop market-driven product requirements. 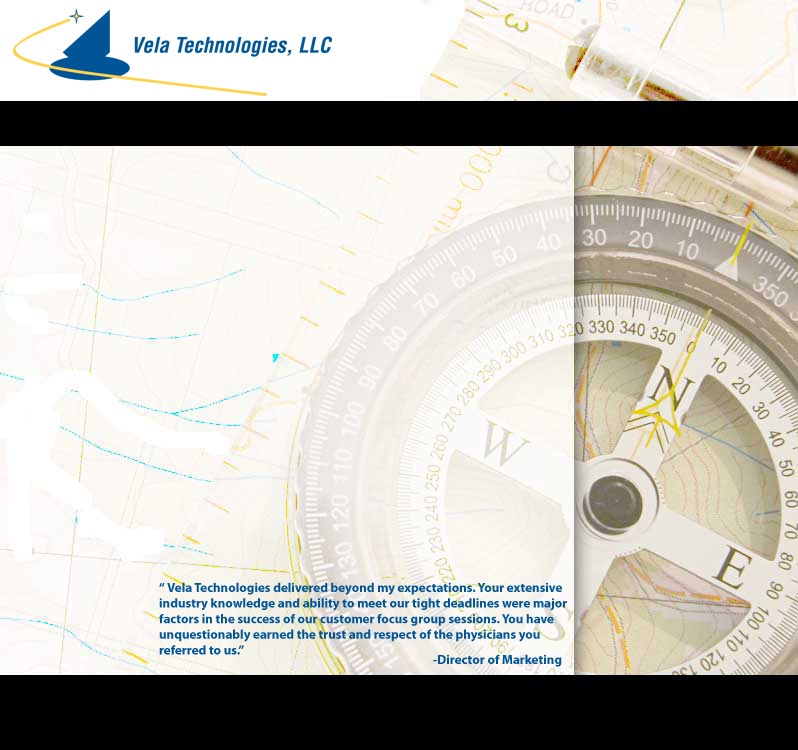 In a separate project, Vela Technologies managed the global product development and rollout preparations. A medical equipment manufacturer with a concept for a new ECG analysis product needed direct customer input to enhance product specifications. Vela Technologies conducted a comprehensive customer study, meeting with doctors, nurses, and technicians across the country to determine how this product would satisfy customer needs and how it compared to other products on the market. The results were successfully leveraged into the company's product development and strategic business plans. An international provider of advanced medical technologies needed assistance with various marketing initiatives including identification of key opinion-leading Anesthesiologists to provide input on their new Anesthesia machine concept. Through Vela Technologies' leadership, the client obtained significant high-quality clinical user feedback in record time.